Do you owe more on your car than it’s worth? Our usual recommendation to people is that when they lease a car, purchase GAP (Guaranteed Auto Protection) insurance. GAP insurance makes up the difference between fair market value of a car and what you owe on the car (the second figure is sometimes higher). 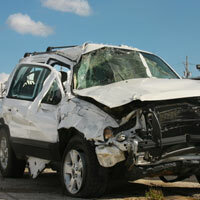 This type of insurance is important because in an accident, you are only entitled to the fair market value of the car. The trap is that if you owe more than the Maryland property damage settlement amount, then you certainly won’t have enough money to buy or lease a or new car. Then, you end up renting a car for far too long (which you won’t get completely paid back, either). It’s a terrible cycle of debt, and hard to get out of. Now, some people will have another option (which they rightfully expected to have in the first place). The Daily Record wrote up an article, 4th Circuit Backs Consumers Whose Cars Are Totaled which outlined a new decision in Decohen v. Capital One. There, a consumer leased a used car. The lease included a debt cancellation agreement. Unlike insurance, debt cancellation agreements are not regulated by the Maryland Insurance Administration. It is simply an agreement between the lender and the person leasing the car that, if there is a problem, the most they will owe is the fair market value of the car. The lender simply forgives any excess owed. In exchange for this benefit, the consumer pays a little extra. In Mr. Decohen’s case, he paid $600 extra for this added security. Unfortunately for Mr. Decohen, the lender sold his account to Capital One (play Imperial Death March here) who decided to fight Mr. Decohen. Their argument is long and convoluted, but suffice to say that the evil bank argued that federal banking regulation override Maryland state law. Maryland’s consumer-oriented laws were somewhat more favorable than the actual contract. The contract stated that the difference between the fair market value and another value would be cancelled. That other value was the larger of (a) cash paid by an insurance company; (b) the NADA value; or (c) the Kelley Blue Book value. 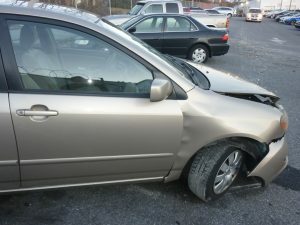 Maryland law only permits (a) the cash paid by the insurance company. In Mr. Decohen’s case, the bank argued that it didn’t have to cancel the debt because the actual value of the car (it claimed) was higher than what the insurance company paid for it. Tagged: "Debt cancellation agreement", "fair market value", "GAP insurance", "property damage" and "total loss"